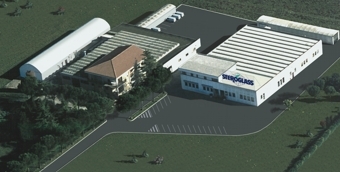 Steroglass is a company operating on a global level in the chemical, biotechnological and pharmaceutical fields. Headquartered in Perugia, Italy and fully owned by Stefano and Roberto Falocci. It all began more than 50 years ago. 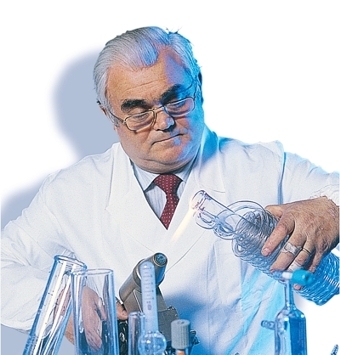 Mr. Luigi Falocci, the founder and forerunner of the company, a very resourceful man, created unique hand-blown products used since the early 60's by the most renowned Italian chemists. The Falocci family has always strived to achieve remarkable goals by designing and manufacturing borosilicate glass lab equipment, industrial plants for chemical and pharmaceutical purposes as well as electronical instruments with high-tech mechanical components and related software. Steroglass has mainly focused on evaporation, titration, metal detection, enzimatic and colorimetric analyses. In recent years we have added to our innovative production a big variety of worldwide imported products so as to complete our own range, thus meeting most of our researchers and lab analystis' requirements. We offer our clients state-of-the-art solutions, pursuing a local and global partnership intended to cover every customer need, always bearing in mind environmental sustainability. Our cost-effective and innovative solutions for any glassware requirements, while giving high quality and constant service, also consolidate and increase competitiveness as well as meeting the standards demanded by the market and creating new strategic opportunities. We trust that Glass will continue to be a valuable source for research, testing and production. R&D continuous efforts, marketing-oriented attitude and a special attention to personal and professional growth of all employees allow us to compete at highest levels worldwide. We believe fair leadership can achieve results, grow talent and reward merit. Blueside, a new Steroglass brand, has added value to our outstanding mastery in the borosilicate glass by turning scientific glass products into artistic objects which stand out in the excellent Made in Italy.